2014 Apple Keynote brought a lot more than just the two iPhone 6 variants and the first ever Watch from the company. It introduced the very latest Apple Pay system that is here to transform the mobile payment system, and perhaps replace the current card-based transaction system – if we are allowed to be too enthusiastic about it. 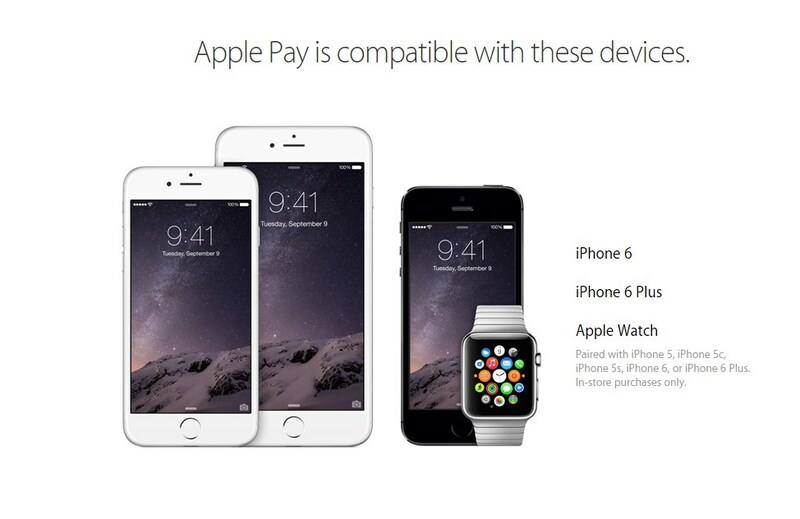 If you buy Apple’s latest iPhone 6 or iPhone 6 Plus, or even if you own an iPhone 5s or 5c and pair them with the latest Watch, you can use this mobile payment system by Apple. 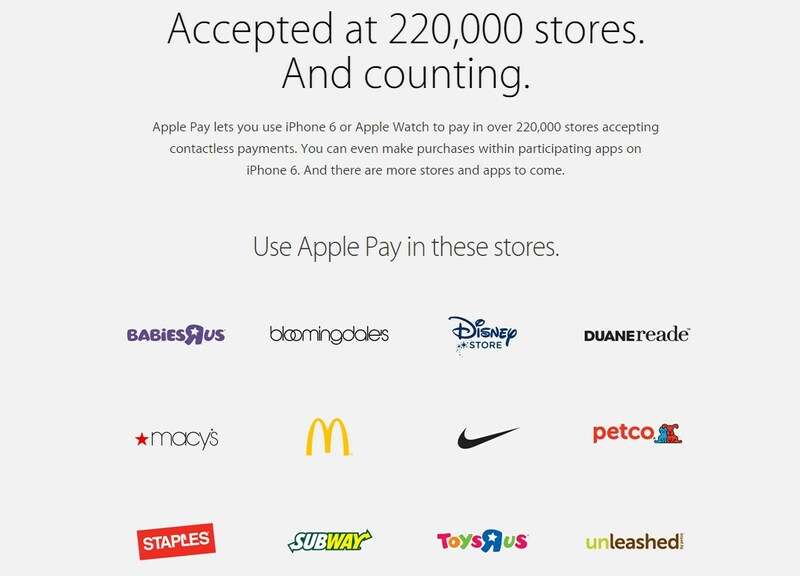 Apple Pay stores all of your credit cards in the Passbook app, Apple’s mobile wallet. By using the near-field communication (NFC) technology, it securely transfers data between customers and merchants. Apple was rumored to bring the NFC in the iPhone back in 2010, however, it took the company quite a few years to polish it up and make it useful and secure for everyday transactions. Apple Pay is the wave-and-pay service which makes the transactions swift, easier, and secure as it only requires the customer to simply beam the payment via NFC to the merchant’s POS terminal. The NFC based transactions are further protected by Touch ID fingerprint sensor making the authorization instant. Tim Cook was quite eager to point out that Apple Pay is eventually meant to replace the current credit card payment system. Considering that the magnetic strip based credit and debit cards being used around the world for past 5 decades, perhaps it is time for a better, easier, and more secure solution. But then how can Apple make sure that its new payment system is more secure than the current one, and not even more vulnerable. Following the leak of a ton of private celebrity photos, Apple had to concentrate on the security aspect of Apple Pay. Considering the mega presence of the company and its multi-billion dollars cash support, Apple Pay has no worries of failing, or at least it doesn’t show any. Various banks and retailers are already on board. 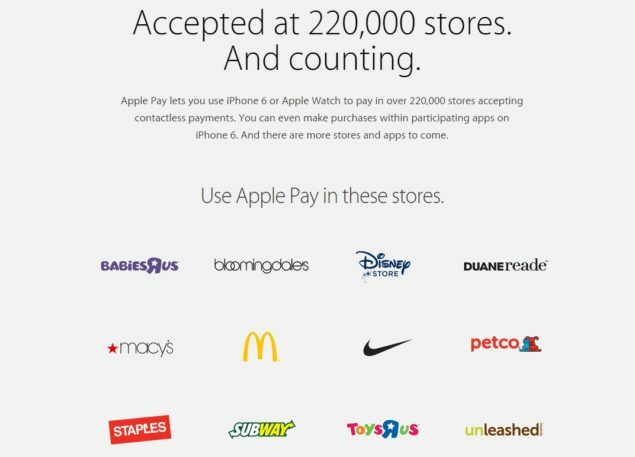 Apple shared that some 220,000 stores are already accepting Apple Pay including the giants like Target, Macy’s, and McDonalds. With hundreds of banks and thousands of retailers promoting the new payment system, it is then no wonder why NFC-based payment system has got everyone on heels. Focusing on the privacy concern about such a service, Apple and all its partners are repeatedly commenting that user’s account number is not stored on the phone and only a one time transaction code is created. “We don’t store the credit card number, and we don’t give it to the merchant. … Each time you pay, we use a one-time payment number along with a dynamic security code. … Security is at the core of Pay, but so is privacy. We’re not in the business of collecting your data.” – Eddy Cue, Vice President of Software at Apple. Apple Pay will allow you to use the iPhone 6 and iPhone 6 Plus to pay for purchases in stores and online at participating merchants with the touch of your finger. And as you’d expect from Apple, it’ll be incredibly easy to use. Featuring the latest technology, Apple Pay is secure. Your account number is not stored on your phone, and only your fingerprint can authorize a payment. The mammoths of payment processing companies like Visa and MasterCard are all aboard the Apple Pay making it quite easier for any customer to store any of their cards in the Passbook app for transactions. While Apple and its banking and retailing partners keep repeating their focus on privacy and no intention of collecting user data, it would be interesting to see once Apple Pay is released in October and used by the customers. Of course, credit card system itself is not secure and has been suffering through hacking attempts. If Apple can make Pay less vulnerable than the conventional payment services while making it even easier than beaming at POS, it would be likely that we might see a change in the industry. Again, there would always be privacy concerns around Apple as the tech leaders like Apple and Google have traditionally been accused and found of being fond of collecting user data. What might start as a privacy-centric payment system, can certainly turn into another data collection machine. In anyway, we definitely are hopeful about the future and looking forward to seeing how Apple Pay performs in real world, regardless of having seen similar attempts failing from Google, Square, ISIS, and more.